A Quick Summary of Our High Volume Production Capabilities. We've been in business 50 years, manufacture tens of millions of parts annually, so we understand high volume production because we actually do it! We have some of the most comprehensive and complete production equipment selection in the industry. 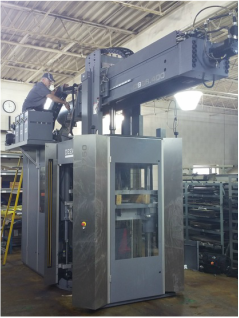 When your project requires high volume part production and just-in-time deliveries you will find Rubber Industries expanded custom molding facilities an attractive source option. 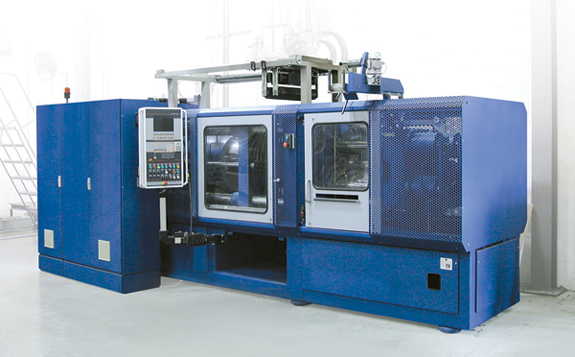 Equipped with horizontal 400 ton injection presses, Rubber Industries delivers high volume quality parts. 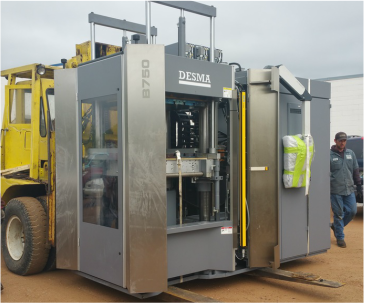 These systems have automated demolding features and run 24/7 365 days. With up to a 14 lb shot capacity in our brand new injection press, our presses also have advanced engineering features including optimum temperature control enabling the processing of standard and difficult custom compound formulations. Product designers will find Rubber Industries more than 45 years experience matched with these latest production press systems the right sourcing solution to a wide range of molded part requirements. Issues such as molded component hardness, fluid resistance, temperature resistance, abrasion resistance, shrinkage, elongation, modulus and cost are ones readily solved by the company’s molding experts. Rubber Industries provides engineering assistance for product design and development. Utilizing the latest technical expertise and elastomeric chemistry, the company will analyze material needs and recommend a standard or custom engineered material. This gives product designers complete assurance that their design objectives for component performance, color, delivery and cost objectives are met. 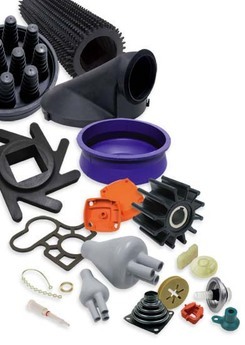 Rubber Industries specializes in precision custom molding of rubber, silicone, and liquid injection molded parts. We have complete injection, compression and transfer molding as well as liquid silicone rubber (LSR) facilities for parts of any size configuration in prototype to high volume requirements. Plus Rubber Industries has expertise in bonding rubber to metal, silicone to metal, and rubber to plastics. Rubber Industries provides in-house mold design/build, cryogenic deflashing, component assembly and product packaging. Get real parts in as little as 4 days. Check out our high volume video. Brand new press with very large 14 pound injection shot. 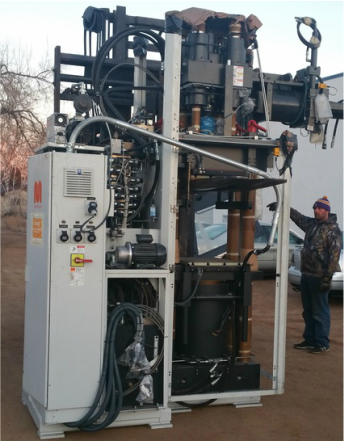 Note the size of this press which allows us to run high cavity count molds for your project. ​Our Tooling Is A Step Above The Rest. ​The Fastest Prototyping In The Industry.